259 in stock Need More ? Reprint. Film tie-in. Originally published: 2008. 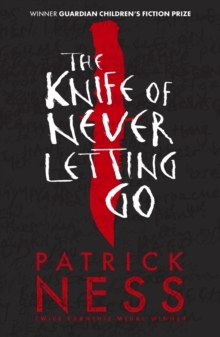 A special anniversary edition, with a striking new cover design, to celebrate 10 years of the Chaos Walking trilogy. Prentisstown isn't like other towns. Everyone can hear everyone else's thoughts in a constant, overwhelming Noise. There is no privacy. There are no secrets. Then Todd Hewitt unexpectedly stumbles on a spot of complete silence. Which is impossible. And now he's going to have to run... This new edition marks the 10th anniversary of the award-winning modern classic, soon to be a major motion picture starring Tom Holland and Daisy Ridley.